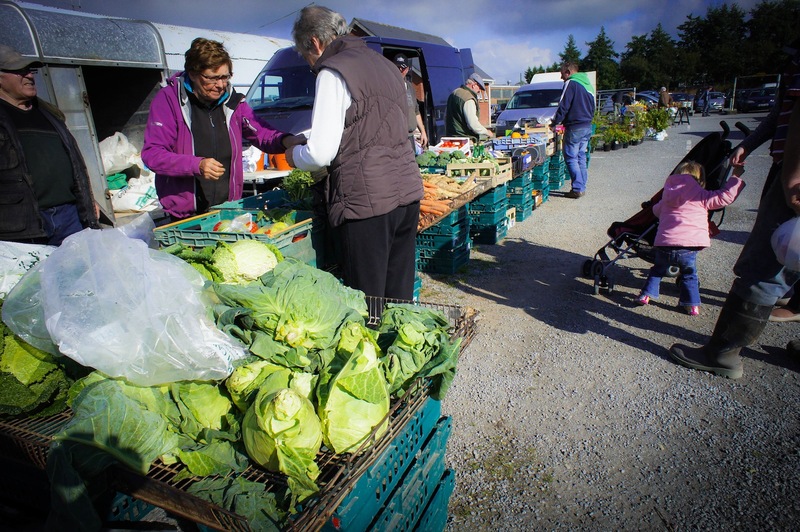 Fruit & veg traders at Kilmallock Mart, Limerick, South West Ireland. Hi mike,how is it that every time u come back home we r headin away?? ?anyway hope u enjoyed your time at home,was just lookin through your photos & just said that I would let u know that the market trader in the awsome pic is a neighbour of mine from kildimo!small world! !take care & wil see u next time!!! Cheers Helen. Sorry did not get chance to call to see you & the gang. Did see Tom driving through Bruff one evening I think. Also think he was sober! Catch up at Christmas. Serious looking carrots and parsnips! GM?? Cheers Donal. Just landed back in Dubai tonight & heading for KSA tomorrow. Next time I’m back for sure.